Yea I’m an 80’s baby. Committment, Marriage, & Me. Most times I feel like the third wheel..which is to say in a very unclear way: I’m afraid of commitment. “So?” you ask, smugly puffing your sherlock holmes pipe, “What young man isn’t?” ..hmm, well let me clarify. I want to get married. I want kids. “So. what’s the problem?” As you puff smoke circles into the air. Plus I know me. I tend to fall for personalities..and hard. I’m 100% committed when i’m in it. But since i’m such a good learner. And i’ve had my heart broken in the past. Or to be honest..had a heart that got broken, cremated, then sprinkled in the hobo staircases near libraries, I have a bad habit of pulling the eject button when people get too close. Disappearing. Being flaky. Taking a year away from women *shakes head* (Nah that was actually a good idea). 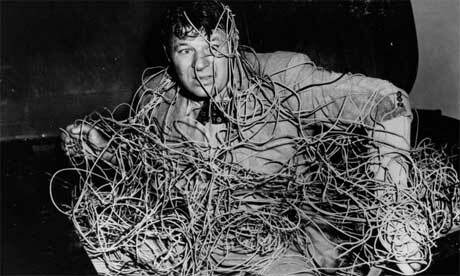 Sometimes I feel like I need to sit down with the telephone cord that is my intentions and untangle everything. All this. Kinda puts me at a decreased chance of getting married. Which totally changed the way that I viewed marriage. Immediately after viewing it, I realized that I had viewed marriage from a totally selfish viewpoint. I viewed it as finding a woman who I was attracted to, who could meet my needs, keep me entertained, give me kids, etc.. I mean I knew that sacrifice would be required, but I don’t think I really gave a thought to just how much would be required until I saw this video. Till death do we part. That’s a big promise. What can I do to make this year count? How can I change my life for the better this year? Why am I not who/where I want to be? Who do I need to say no to in order to say yes to me?